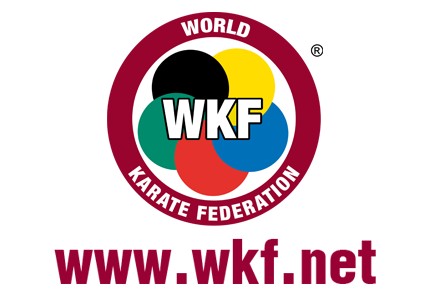 A strong field of 116 nations and 996 athletes is in Bremen, Germany to take part in the 22nd World Senior Championships. Competition started on Wednesday 5th and last until Sunday 9th of November 2014. 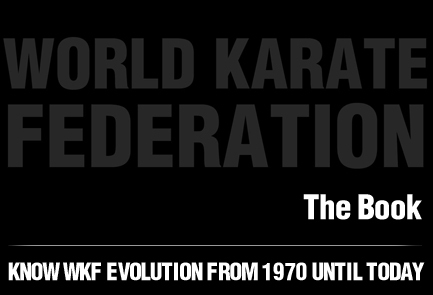 The fourth day disclosed the name of the 10 World Champions in individual kumite categories. As expected, competition has been exciting in all weight categories with champions, newcomers and veterans vying for the medals. Enes ERKAN from Turkey is the only athlete to keep its title acquired in Paris two years ago, while Douglas BROSE, regain its world champion title (Belgrad 2010), lost in Paris 2012 (Silver medalist). France and Egypt are leading the medal table, with both 2 gold, 1 silver and 1 bronze. Turkey is ranked third with 2 gold and 1 bronze, and Japan is just behind (1 gold, 1 silver, 3 bronze) and 3 finals to come tomorrow. The double European Champion (2014 and 2011) and Bronze Medalist in Paris 2012, Serap OZCELIK, defeated in the final (6/1) the local competitor Duygu BUGUR boosted by the support of the German audience. The 2012 World Champion and 2014 Grand Winner, Alexandra RECCHIA (France) only won the bronze. Sara CARDIN, the strong athlete of the end of the season (European Champion, winner of the 2 last Premier League tournaments of 2014) defeated (3/2) the French Emily THOUY, bronze medalist at 2014 European Championships and 2012 World Champion in Team Female Category. In this category with no strong leader, the newcomer Giana LOFTY, 2014 African Champion and winner of the World Championships for Under 21 in 2013 defeated Syakilla Salni JEFRY KRISHNAN (Malaysia) in the final (2/1). In this category, the defeat of the veterans enabled another newcomer to take the lead. Alizée AGIER (France), European Champion Under 21 in 2014 and vice 2013 World Champion Under 21 fought off Gitte BRUNSTAD (Norway) in the final (4/1). Douglas BROSE, the multiple medalist (Panamerican Champion 2014, World Champion Belgrad 2010, World vice Champion in Paris 2012) regained its title after defeating (2/1) Geoffrey BERENS (Netherlands), bronze medalist at 2014 European Championships. The reigning champion, Amir MAHDI ZADEH (Iran) took the third place. William ROLLE (France), European Champion 2012 & 2013 and Bronze Medalist in Paris 2012, took his revenge of the semi-final of two years ago by defeating the 2012 World Champion, Magdy HANAFY (Egypt) (4/2). Newcomer Ryuichi TANI (Japan) won his first World title after winning the final (4/3) against the reigning champion Luigi BUSA (Italy). Local competitor Noah BITSCH (Germany) won the bronze, as well as Stanislav HORUNA (Ukraine). In the absence of the reigning champion, the vice-champion of 2012, Ryutaro ARAGA (Japan), had the opportunity to take the lead of the category, but was defeated (1/4) by Gogita ARKANIA. The reigning champion Enes ERKAN hold on to his world title by defeating Sajad GANJZADEH (Iran) 5/4 in the final. 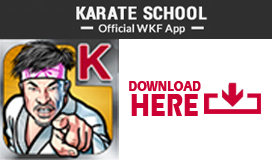 Competition continues tomorrow with the finals of all kata categories and of team kumite.